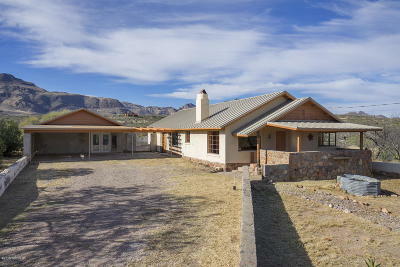 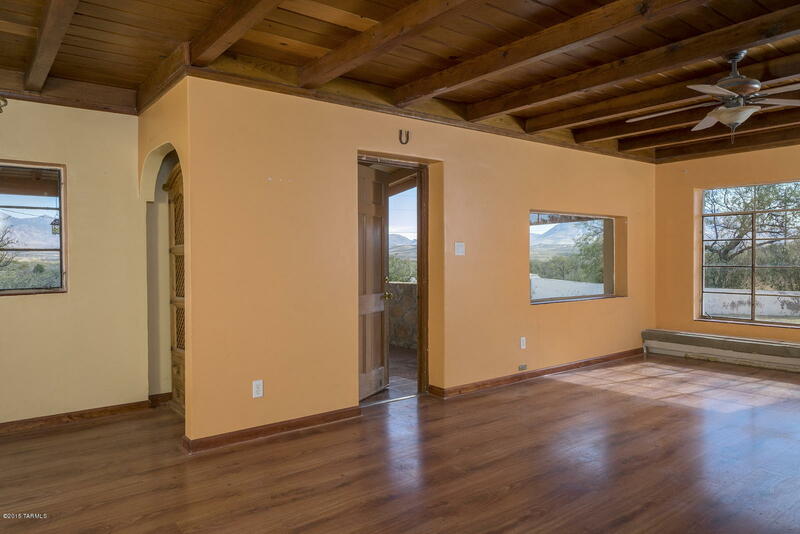 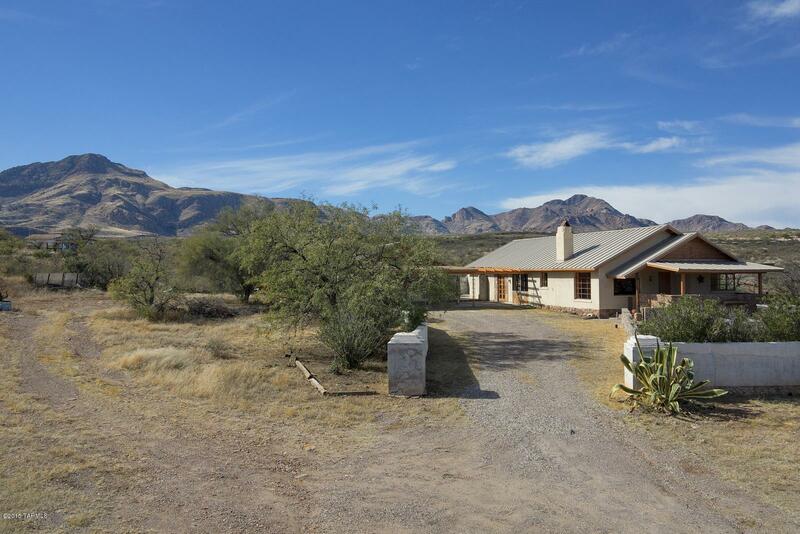 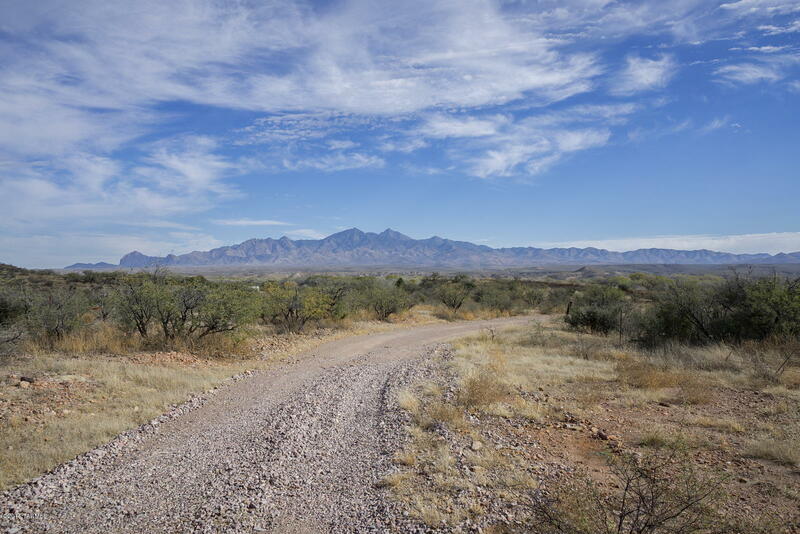 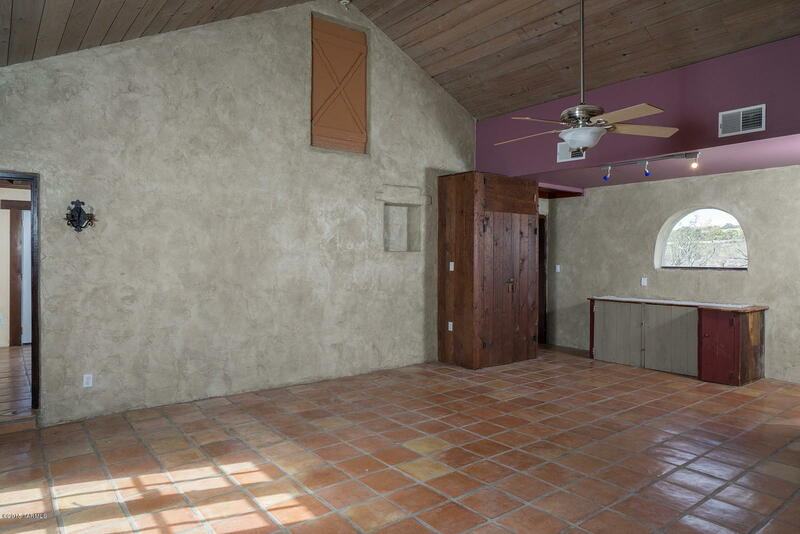 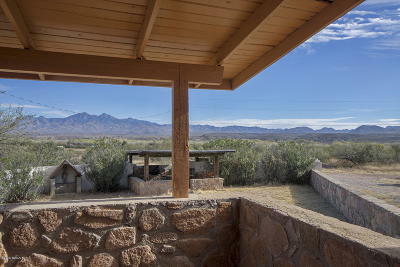 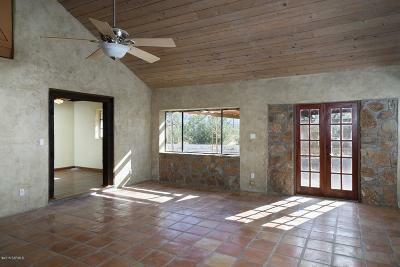 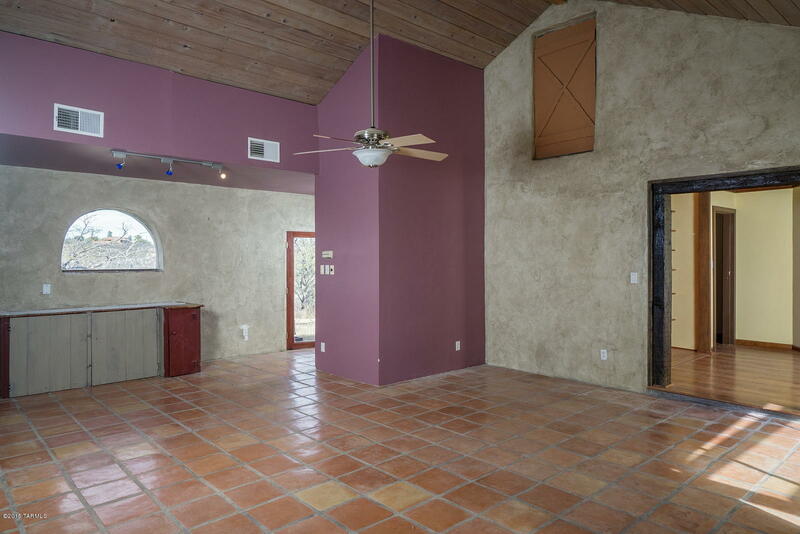 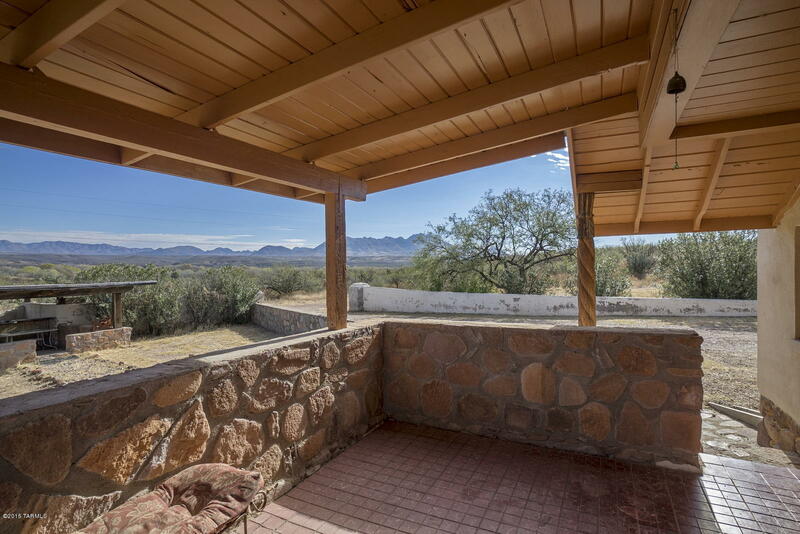 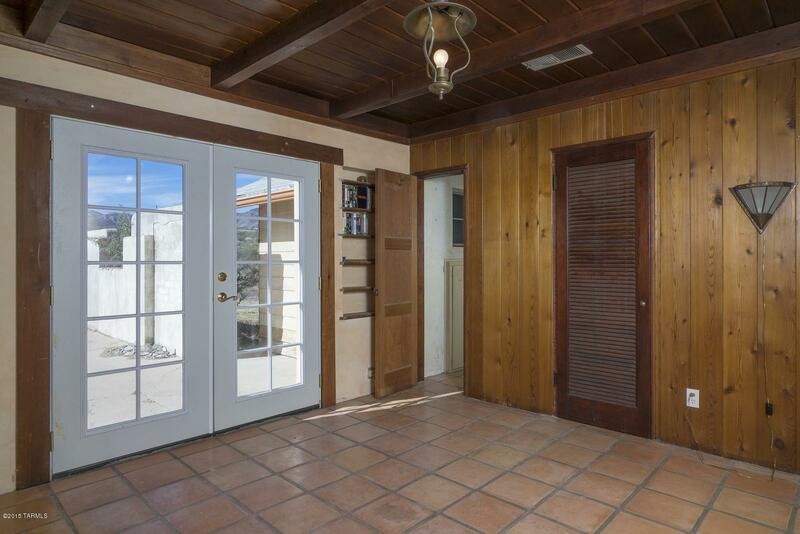 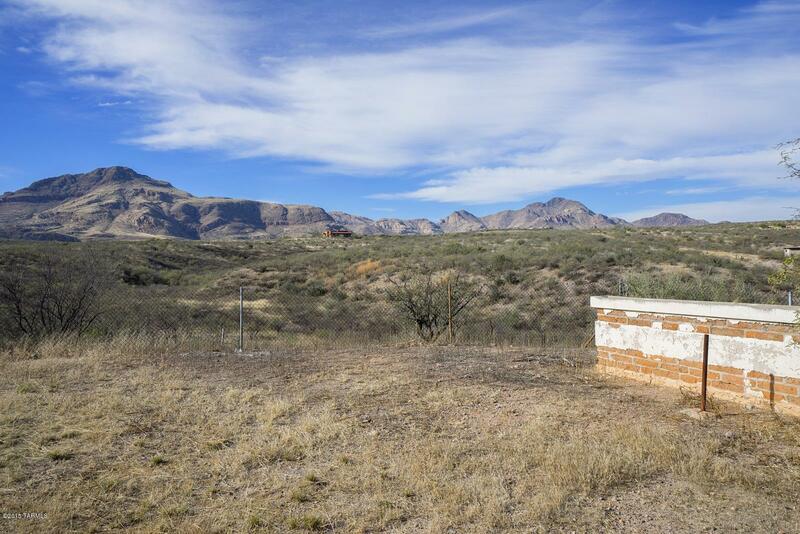 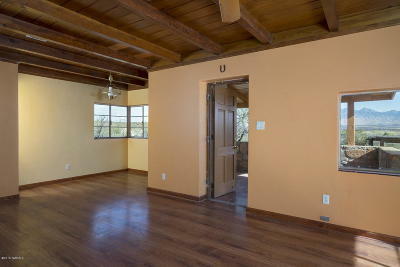 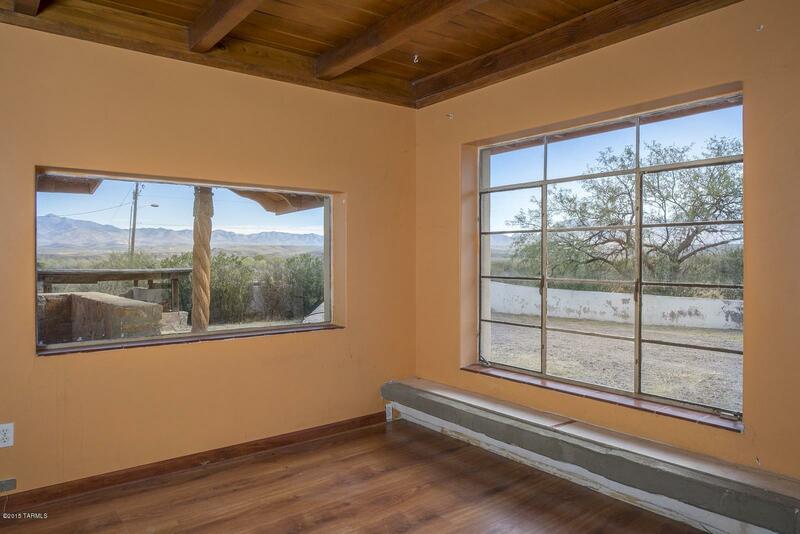 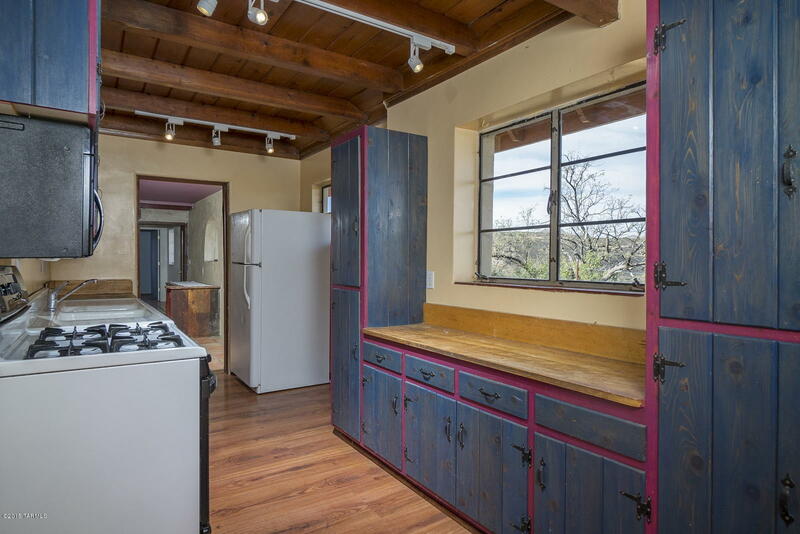 Unique property with panoramic views of the Santa Cruz Valley and the surrounding mountains. 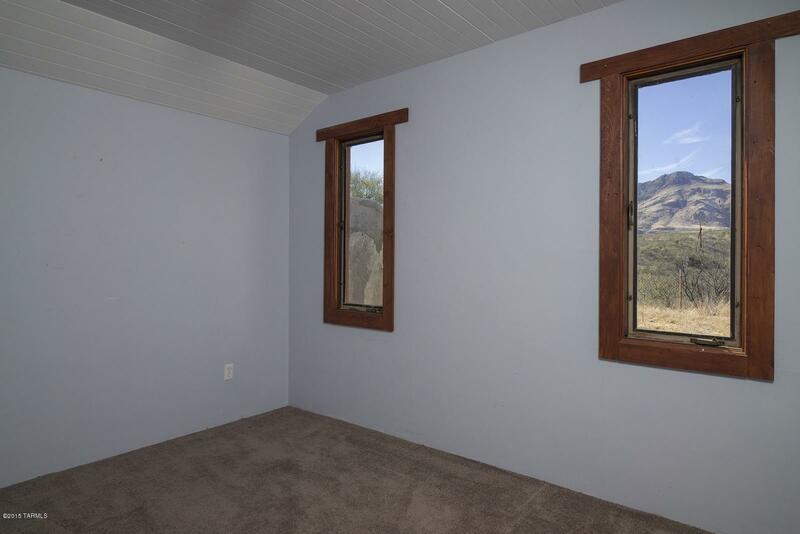 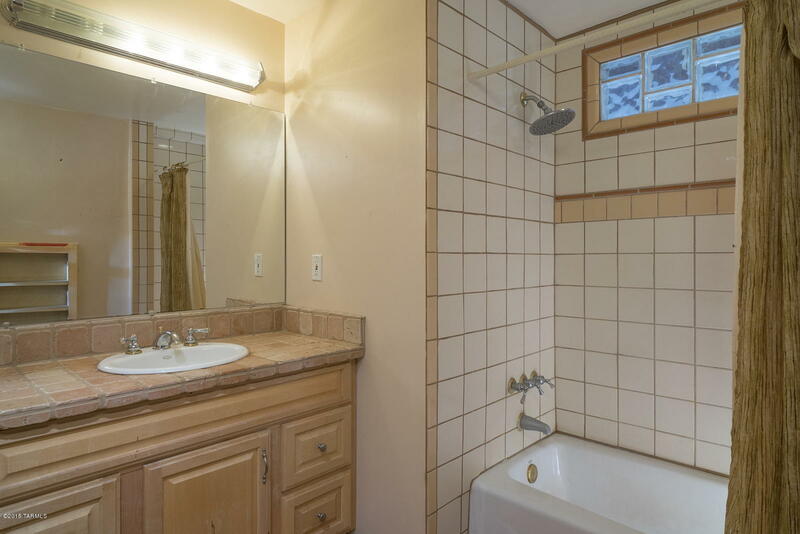 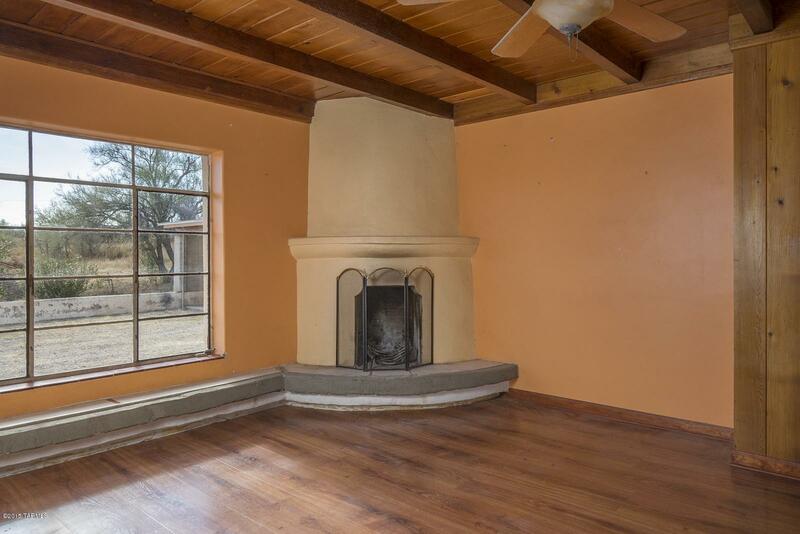 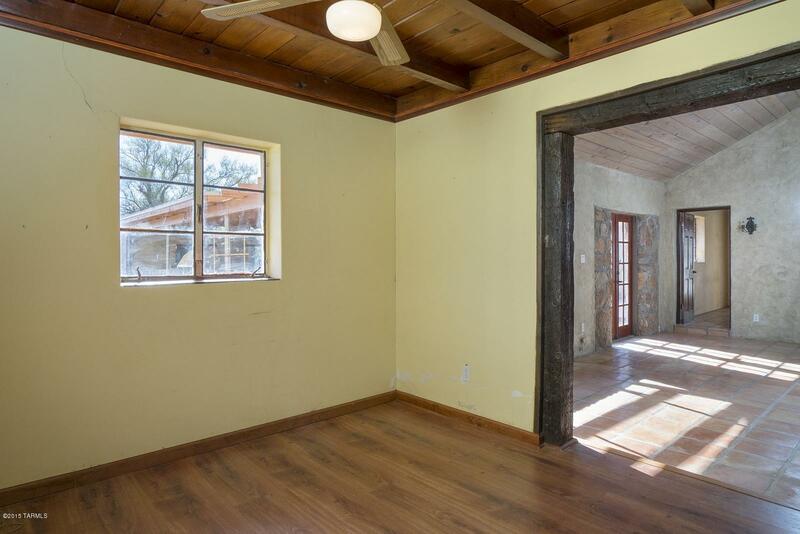 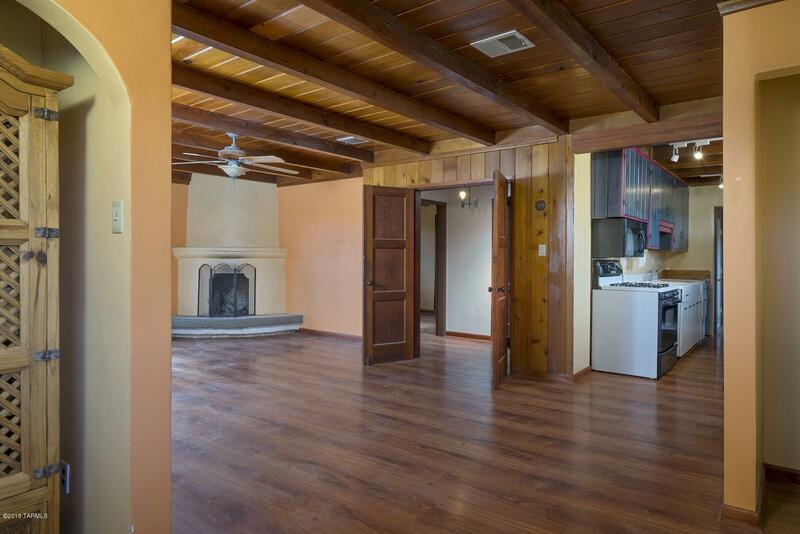 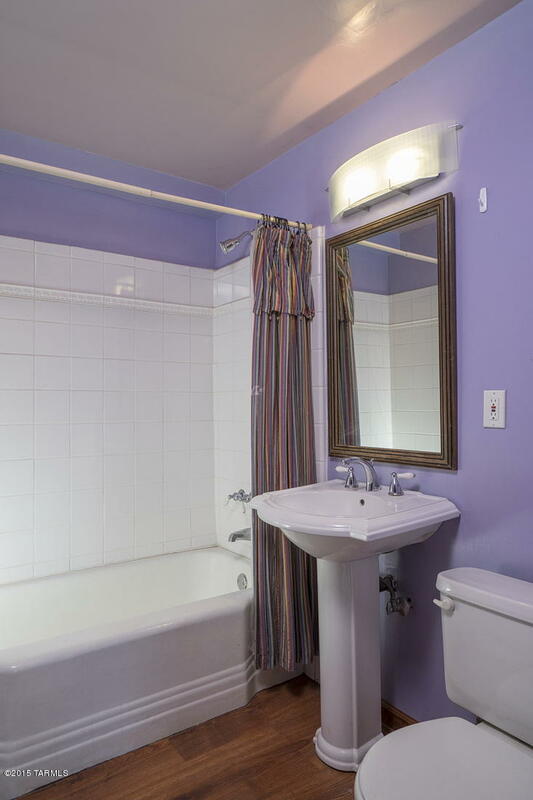 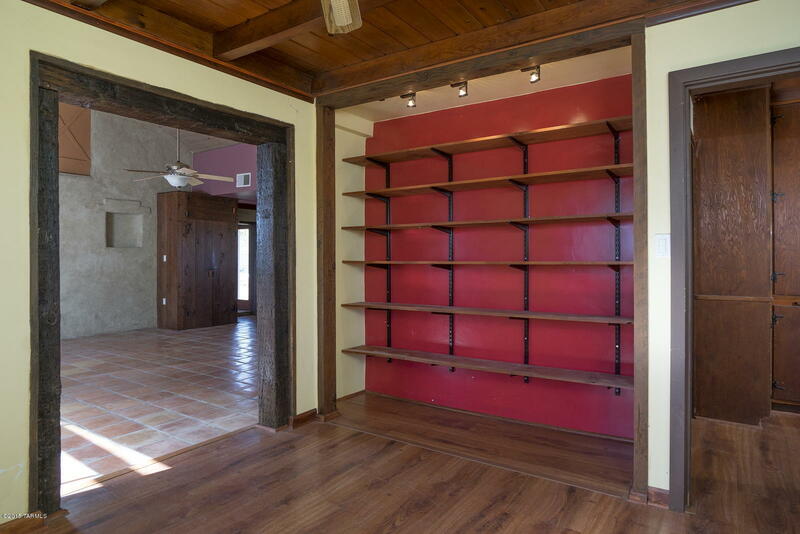 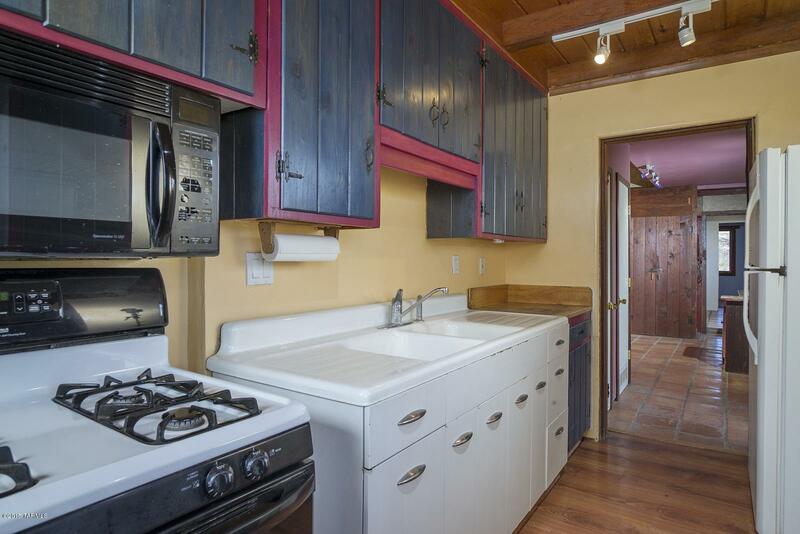 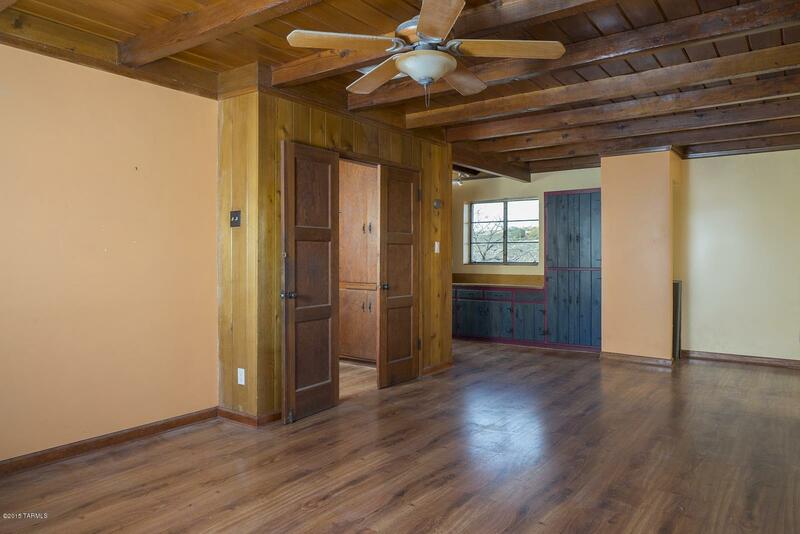 This two bedroom home features a living room with wood floors and a wood burning fireplace. The den could easily be converted back to a 3rd bedroom with the installation of closet doors. There is a large family room with builtins, a dining area and a galley kitchen. 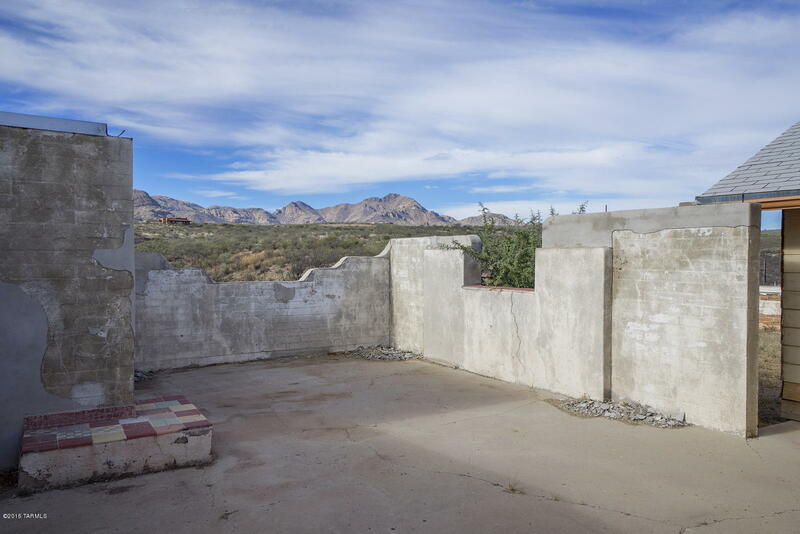 Behind the double carport is approximatley 400 SF that can be used as a storage, a workshop or artist studio.